ISLAMABAD: Vanessa O’Brien, a friend of Pakistan and an accomplished mountain climber, attended an event organised in her honour by the Embassy of Pakistan. 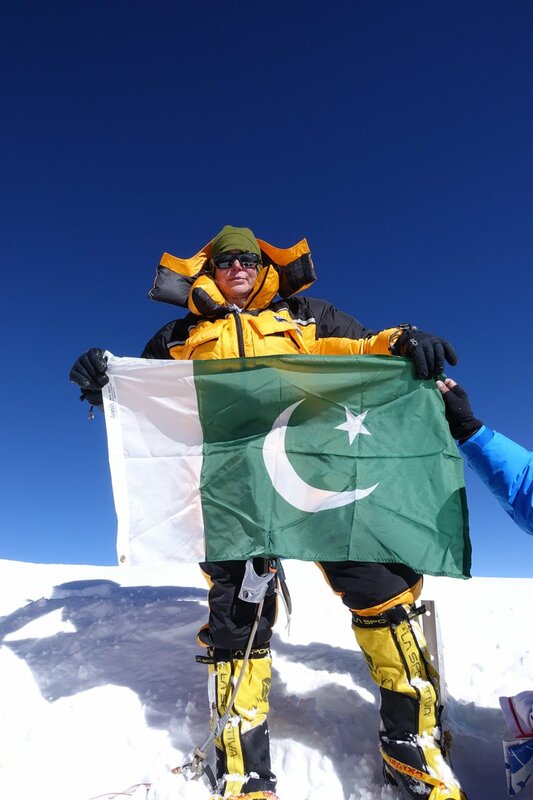 O’Brien is the first British American woman to achieve the distinction of scaling K-2, the second highest peak in the world located in Pakistan, where she unfolded a Pakistani flag at the summit, said a press release received on Saturday from Washington DC. Pakistani Ambassador Aizaz Ahmad Chaudhry, while appreciating O’Brien’s warm feelings for Pakistan, said that her story and personality was an inspiration for many people in his homeland. The ambassador greatly appreciated the perseverance, patience and dedication of O’Brien during her three years expedition to scale the peaks of K-2 and the deep friendship she developed with the people of Pakistan during that time. Earlier, O’Brien was invited by the Pakistani ambassador to address the embassy staff and share her travel experiences in the country. Later, she presented a flag of Pakistan with her signature to the ambassador which also carried the message “From K-2 To Pakistan with Love”.